Going on a religious pilgrimage is an ancient way of deepening one’s spirituality by traveling to a place associated with a holy person. It can be a deeply moving and powerful religious encounter. Pilgrims are not tourists, pilgrims are people on a journey designed to take them outside their everyday, familiar lives into an unfamiliar environment, where they will encounter the extraordinary, and thereby experience God in a new way. The St. Anthony’s Guild family is excited to invite you on our “Walk In My Shoes” St. Anthony Pilgrimage to Padua and Venice! 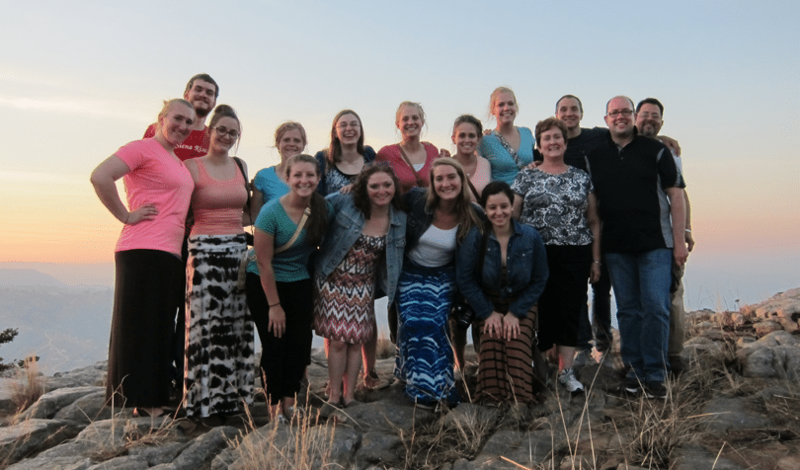 This Pilgrimage offers participants a chance to reflect on and learn from the vision and values of St. Anthony of Padua and the Franciscan Order. The Pilgrimage includes time for reflection, prayer, conversation, leisure, and visits to sacred Franciscan places in Padua and Venice. Pilgrims will experience the spiritual heritage bestowed upon the world by St. Anthony of Padua (and Francis of Assisi) as they encounter the living saints in the places most beloved by them. The trip starts on September 3rd and ends on September 12th. In an effort to broaden and enrich our understanding of the Franciscan values that are the foundation for the ministry done by Franciscan friars, sisters, and lay people, this pilgrimage to Padua will expand participants’ appreciation of what it means to be Franciscan, and increase their spiritual growth in the following areas: devotion to St. devotion to St. Anthony, reverence for creation, compassion for the poor, and foster a deeper connection to Franciscan values and ideals. Pilgrims will delve deeper into the life of St. Anthony of Padua by taking an in-depth walking tour of Padua and making visits to holy sites associated with the saint’s life and ministry in Italy such as Camposampiero, Sanctuary dell’Arcella, Abbey of Santa Giustina- the Scrovegni Chapel and the Pontifical Basilica of Saint Anthony of Padua. While in Venice, pilgrims will have a chance to experience the grandeur of this unique world heritage site city with guided tours of San Francesco della Vigna, Burano Island and San Francesco del Deserto. 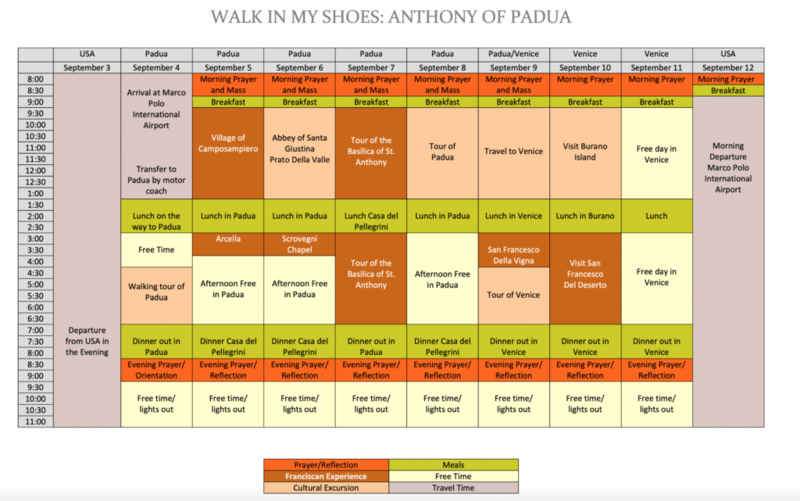 To learn more about the Walk In My Shoes: St. Anthony of Padua Pilgrimage please click here!